Update: As commenters have pointed out, the $349.99 Moto X is only available from Republic Wireless. The other carriers are still selling the device for $399.99. 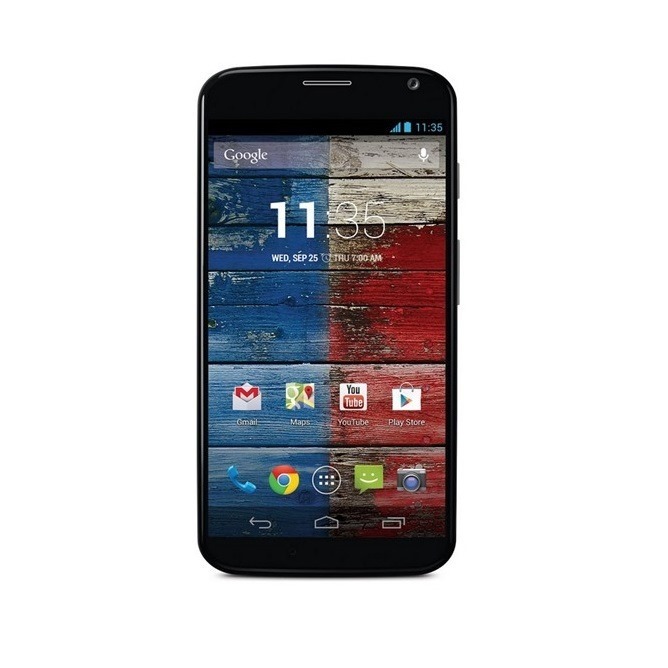 Note, Republic Wireless will sell you a Moto X directly for $299.99, but it only offers black or white at that price range. 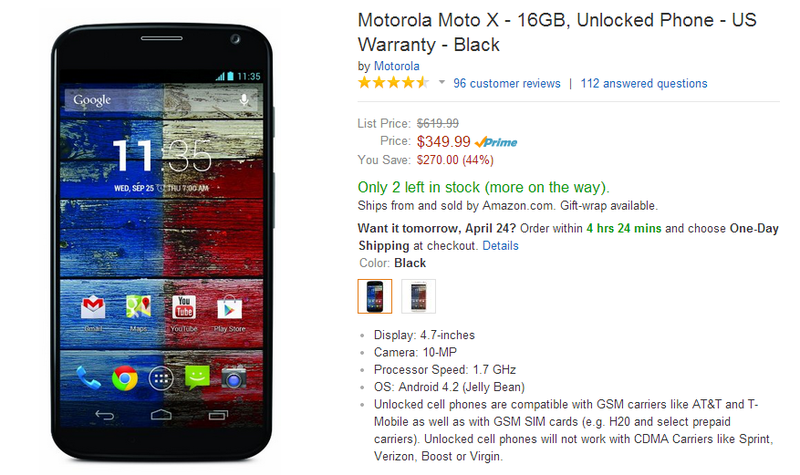 The $349.99 Moto X from Amazon will work with GSM carriers such as AT&T or T-Mobile, so there are still some savings to be found here. You just have to be happy with the phone in black or white. The Moto X has gone on sale plenty of times in the past, and there have been special offers for loyal customers, but this time it looks like the handset's price is taking a more permanent dip for everyone. 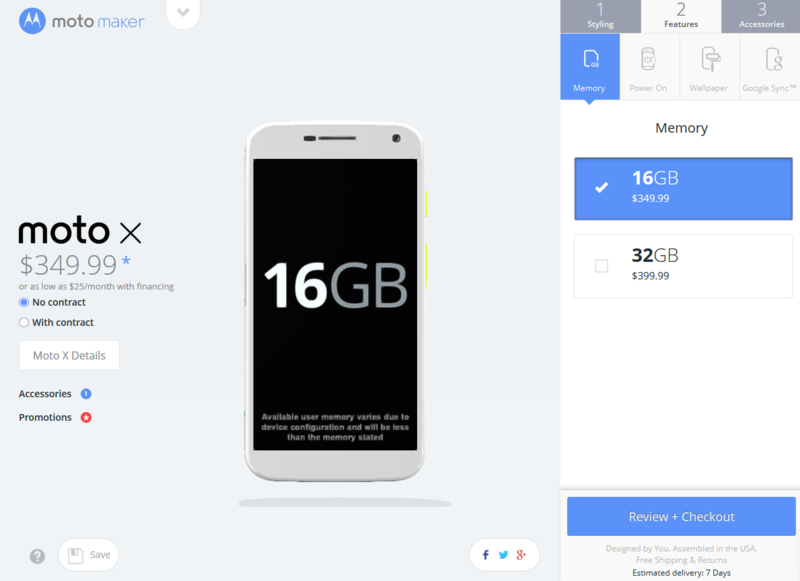 If you head over to Motorola's website now, the 16GB version of the device is available for $349.99. The 32GB option is going for $399.99. For both, this is a drop of fifty bucks. The price is the same over at Amazon. 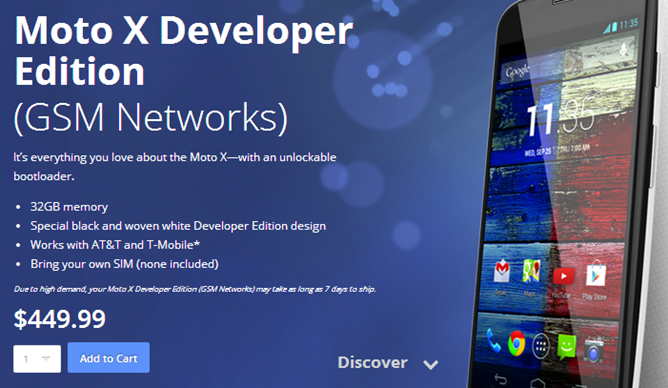 The developer edition, on the other hand, remains stationed at $449.99. We're not sure what to make of this just yet. We haven't seen a press release or announcement of any kind suggesting that the Moto X is now available for less than it used to be. Nevertheless, these lower prices are available for all to see. If you've been sitting on your hands waiting for the Moto X to go down in cost, now might be a good time to jump on it, just in case this drop isn't set in stone.